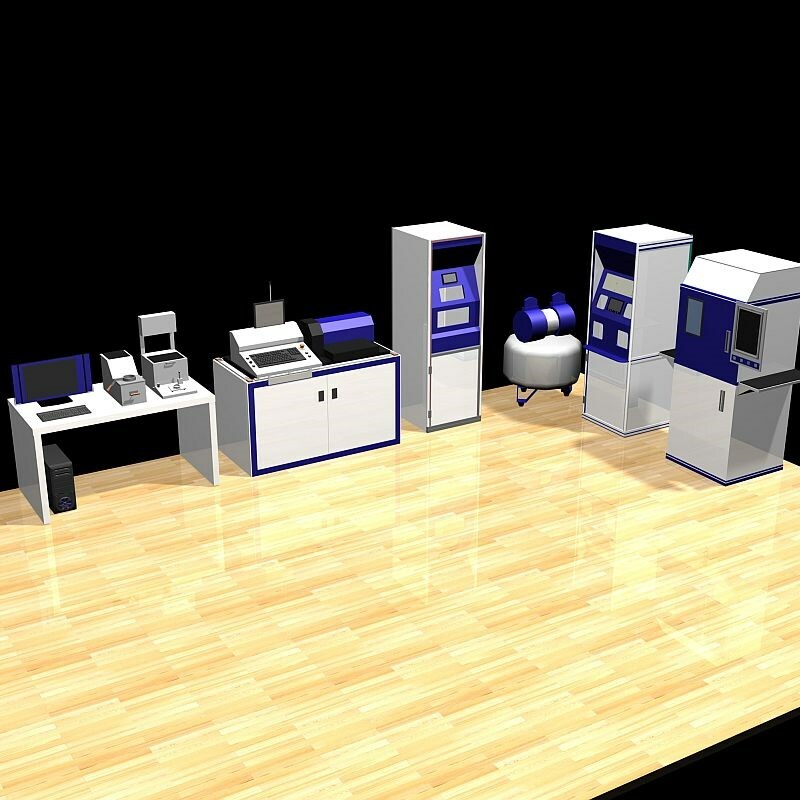 Chemalux 100OD Lab System is the smallest surfacing & finishing optical lab system which is able to fabricate all Rx lenses (single vision, progressive, multifocal) from surfacing to coatings (scratch resistance, antireflection, flash mirror), to edging at a compact space. the system uses pre-blocked semi-Finished Lens Blanks with the Front Side Hard being coated and AR coated. Only backside fabrication is needed to minimize the Lab Work. The 100OD Lab System is a modular Design with an Open Architecture. You CAN add Equipment . piece by piece to set up your Ideal Full surfacing & Finish Lab and Operate it Easily and Profitably Along the Way you expand your Lab You are Completely independent! 1. The Auto Refractor Generates the Rx prescription and Transmits the Data to (0) LIMS for All Machines Which is available in the system. 2. The Fastgrind in this system the Rx Retrieve Data from the center and a Simple Three Utilizes pad Process to Generate, Fine and polish prescription Lenses. 3. Then Lenses Go to AR Coating Hard Coating and using (3) SRAR Coater. 4. Tracer / Edger traces the frame and the edges coated Lenses. 5. The Final Assembled Glasses are checked with (5) Auto Lensmeter. Chemalux 100OD Lab System is an integrated system with the optimized quality performance and efficient fabrication. The System employs a LIMS to perform computing, data storage and control. In addition, Chemalux 100OD LIMS integrates with other office software (eg invoicing insurance) and more importantly , connects with optical wholesales labs to require outsourcing jobs, with patients to inform the status of their glasses. Chemalux Fastgrind simplifies 3 lens surfacing processing machines (generating, fining and polishing) into 1 compact and simple machine. Minimum labor and skills are needed. Chemalux SRAR coater integrates scratch resistant coating and anti-reflection coating into one smallest SR / AR coater in the world. All lens materials (PC, high index) and treatments (AR, EZ-clean) can be processed with capability of coating in the backside.